There are two very simple reasons why Australian online retail has lagged behind the rest of the world: an unwillingness to adopt it, and an inability to adopt it. The unwillingness of most businesses to adopt full scale online sales can be attributed to the perception that there’s simply not a local market to support the investment required for a robust online sales presence. It costs the same to make a great website whether it sells 100 units or 100,000 units, hence businesses should reasonably expect to make their online retail investment back. The inability factor can be attributed to the previously prohibitive cost of multi channel retail combined with a lack of wide spread high speed internet access. Internet availability is improving at a fast pace, both through physical lines and smart phones making it available to more people than ever. It’s vital for businesses to have true multi channel retail solutions in place to capitalise on the, at present, underutilised market that’s available. Thankfully there are cost effective solutions open to today’s businesses. It’s vital in order for retailers to remain competitive today that they implement seamlessly integrated retail systems. If retail businesses adopt disparate systems working in tandem, the results are not conducive to enabling business to maximise profits. Any competitive business needs retail systems that are as automated as possible while retaining full integration. There is no advantage in selling five (5) items online, only to have the physical store report those five (5) items available still in stock. It’s a fact: shopper satisfaction has a positive financial impact. By putting in place processes that improve the customer experience through an integrated retail system, you’ll be creating lifelong loyal customers who will not only return to your business for their shopping needs, but be promoters for it in their everyday life. Multiple points of sale increase the need for a favourable and consistent customer experience regardless of the sale platform. The word of a great customer service experience doesn’t stop spreading just because you can’t “see” the customer. Loyalty systems serve multiple functions both in a physical retail setting as well as through online retailing. It’s important to have one unified program that creates an engaging experience for customers, but not at the cost of substantial time and maintenance for business. Look for integrated retail systems that are easy to use, but still have the robust features that you’re looking for in a loyalty solution. The current trend amongst Australian businesses today who have a web presence is to use their website as a way to promote the range and availability of their products, rather than to use their websites to actually enable a customer to purchase from. In today’s market there’s zero reason to miss out on a sale that comes directly from a website. By creating a unified multi channel retail experience, businesses can ensure that they’re maximising their revenue as well as their sale opportunities. These ideas are just the beginning for Australian multi channel retail. Going forward, it’s going to be more important than ever to identify retail trends. Paradoxically that’s going to be even more difficult as multi channel retail is employed, since there will be multiple moving parts to keep track of. One of the best investments that any retail business can make for its future is an integrated retail system with a robust suite of retail analytics. 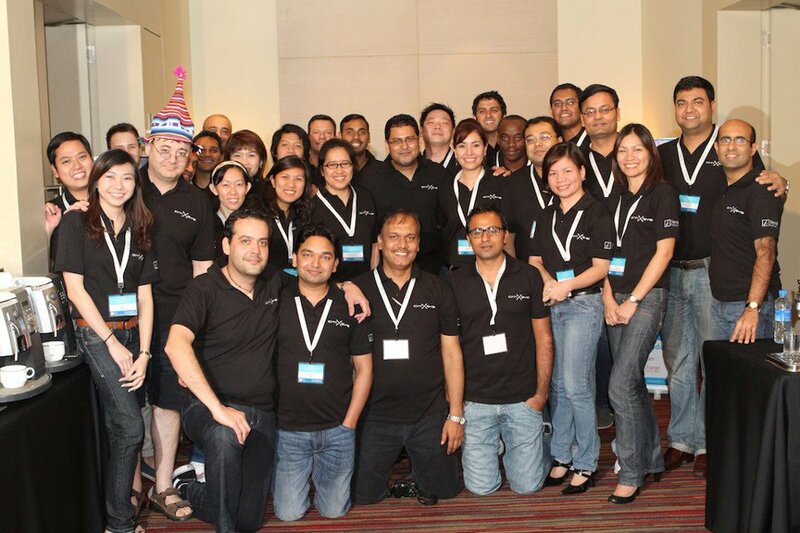 March 2nd 2012-The entire leadership team was together under one roof at Bangkok for a complete working week. Series of meetings, group discussions, product demonstrations, and welcoming partner meets made this event a grand success. CEO speaks, interacts and thus discovers that the team is passionate, committed, reliable, trusted, and has that ‘Quality’ software and services being delivered globally to the Retail & Wholesale Distribution space of the ERP segment. Internal processes were strengthened, the management institutionalized controls and the strategy was laid forward for the Year 2012-13. CitiXsys proud Partners from Australia, Singapore, Hong Kong, Philippines, Vietnam, Taiwan, China and Thailand, attended the parallel Sales & Implementation Tracks where the products were showcased and the roadmap ahead was shared. Our immense Thanks to the associates for their invaluable participation and providing their inputs to improvise our systems. Not to miss the cocktail dinner party towards the end that really upheld further that this young group is fun loving and definitely “Party Harder” category! The message is clear: the CitiXsys group has a purpose and a team to fulfil that purpose. We will soon be meeting again… Destination Europe? LatAm? Retailers need to undergo a paradigm shift to align to the current economic reality, escalating capital investments in inventory and increased customer service demands. 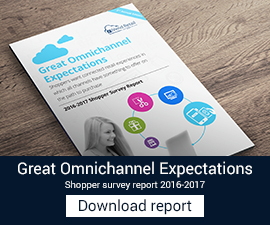 Such a shift can come only when retailers embrace a fully integrated enterprise-wide application set. Manish Chaturvedi shares his thoughts on this published article. Download or view the article below. Will Twitter replace community Forums in next few years? I was at SAP partner conference in Savannah early March 2011. Meeting partners is always a great learning experience. In one of the break-out sessions, we discussed the relevance of social media and its impact on customer satisfaction. Isn’t that the hottest topic these days? We all know the importance of continuous innovation. Software products companies need to innovate continuously to bring new products or features to the market rapidly. The biggest challenge remains feeding this information to the customers and partners. It is an accepted norm to use social media sites like Twitter or Facebook to broadcast information. Many companies today use Twitter to send information to its customers, partners and other stakeholders. Many companies even started using Twitter to provide customer support. This change is so rapid that it sometimes occurs to me the future relevance of community forums. In today’s world, companies still invest a lot in building community forums and portals around their products/ services to provide information to customers in real-time. There are moderators, administrators and other users answering each question. Users have option to search a topic within the forum to read or search relevant topics. It appears to me that Twitter is increasingly encroaching the well-defined territory of these forums. The war is not yet evident but it has already started. After our partner meet in Savannah, I went to Costa Rica, London and Germany meeting partners and customers. Almost everyone voiced about the importance of rapid product innovation and faster communication stream to customers. On 18th of March, I attended our Product Innovation meet in New Delhi. The challenge here was faster go-to-market and immediate information dissemination to customers. Its one thing to send a monthly email to customer on new product offering but updating a customer about this information in real-time is something quite different. It was therefore decided that we will start posting Tweets from the core product teams so that the customers can follow the Tweets to be current on all news & happenings direct from the Labs. To facilitate this initiative, all CitiXsys products will now be posting updates in Twitter @ProductUpdates. These will be small tweets about any latest innovation, new features, bug fixes, or plain vanilla news from the Product Lab. It is extremely important to listen to your customers and what’s better than listening in a public forum like Twitter. Recently I was talking to a few partners who created successful businesses selling CitiXsys products with SAP in their local geographies. I noticed that the most important aspect of their business success is also their biggest challenge – “User training”. A Retailer can have a world class ERP like SAP Business One, SAP Business All-in-One or similar products, with iVend Retail to streamline their Retail Operations. Customers with warehouses successfully implement Inventory Pro for their Inventory Management System with SAP Business One however the major challenge remains training the users who actually use the systems implemented for an agile function. I have seen that every time a partner sells one of our products, he engages our consultant to train customer users. Larger partners have in-houses resources trained in CitiXsys products who in-turn impart training to the customer. This is not only expensive but also impractical at times. Getting all users in one room is a challenge. Not only this, but also the training resources need to block their calendar for individual training. Considering all these aspects, we have developed e-learning lessons for all our products. These are very detailed training lessons hosted at http://learning.citixsys.com/. A partner can have their implementation & training consultants fully trained on our products. Customers can have their users undergo these online lessons at their own time and get fully acquainted with the system. Business Growth Tool – E-learning is an essential tool for business growth. Employees need to be coached and their skill set must be upgraded on a continuous basis. If done correctly,this can produce great results by decreasing costs and improving performance. Unlike one time classroom session, online courses are available to every employee of the company. Productivity Increase – Video based sessions are great tool to give the skills needed to enhance performance and productivity. Video based platforms are not bound by location or time; one can control training’s impact on production by training people at any time – whenever there is a need. By including online learning in your employee skill enhancement exercise, you’re asking people to do more with less. Anytime Access – Classroom learning requires participants to align their schedules to the training calendar. Online courses eliminates this because the courses can be accessed anytime, anywhere and from any location. I have seen our own colleagues take lessons of product line to enhance their skill set. Building interest – Interactive video based courses in combination of PowerPoint presentations and recorded demos can produce a very rich learning experience that is repeatable. Some good practice sessions with feedback can make an environment help learners retain the course content that will produce positive results. Reduced Training costs – With an effective learning schedule, each time the course is accessed by your colleagues, your ROI improves because you are not spending on classroom training. You also have savings immensely by not hiring a consultant, reducing travel, and improving skill set. Make it a part of your appraisal system – A well-trained employee is worth several times more than an unskilled employee. When you hire a new employee or you implement a new system, you need to train your existing employees; the biggest challenge is training them adequately to make them productive as soon as possible. E-learning bridges the gap between employee skill set and newly implemented system. You get more from the software much more rapidly with a fully trained user. Keeping the benefits of video based online interactive courses in mind, CitiXsys has developed e-learning lessons of all products. Some lessons are available in interactive mode with powerpoint slides and online demo combined whereas some are available in the good old youtube.com and other media. Idea is to make a lesson available in whatever form for the users so that learning remain continuous. There are new lessons uploaded on a weekly basis. Enjoy learning and happy holidays. These standards were actually created by the various payment card providers like Visa, MasterCard and American Express. PCI casts a very broad net; it includes the card providers, gateways, merchants, banks and applications. PA is any software or hardware solution that passes or reads/stores sensitive data. DSS is the standard the hardware and software solution providers must write their code and encryption levels to. For us selling and purchasing solutions that store or transmit sensitive data, when a customer asks if your solution have PCI Compliance, they mean is your solution PADSS Certified? Only a Payment Application (PA) that is Data Security Standard (DSS) certified can be compliant. This certification can only be earned after engaging a qualified firm and passing a stringent audit process. Many end users are not even considering a solution that is not certified. The reason is that for a business to be PCI compliant – using PADSS certified solutions is only a piece of the compliance pie – but a very necessary piece. Network firewalls, database encryption, updated antivirus software and passing security scans (for eCommerce) are some other qualifications. CitiXsys solutions; iCharge and iVend are PADSS certified and become a valuable part of the PCI compliant path for end users. So next time a customer asks if your solution is PCI compliant you can confidently say “yes we are a certified application”. Mobility is about transacting real time data at the point of activity and accessing relevant business information whenever or wherever required. In retail this allows more staff to be available on the shop floor, where the customers are, and not at the back office. The benefit of concentrating staff availability in customer facing areas can have a marked impact in the perception of service offered thus making the retailer more agile and competitive. Everyday more sophisticated and flexible solutions are provided by mobile computing platforms that are becoming more and more attractive to retailers. This is due to wide acceptance of Wi-Fi and 3G networks as an everyday technology and the advantages they brings in being always connected, allowing instantaneous update of data, and real time provision of information to store employees at the point of activity as well as corporate bosses in any device. Mobility of technology is often achieved through the provision of hand-held devices like iPhone, iPad, Android based devices and many more, which can be used to transact a process in software solution at the point of sale or where the work needs to take place. Managers can access consolidated data with a click of a button on any device possible. For a software product vendor, dependence on channel partners as extensions of its sales, implementation and support teams has increased many folds. For these vendors building and managing the channel eco-system is critical. Critical as it may, sadly most of the product vendors and especially in the mid-market space lack a comprehensive sales channel management program, forget a sales channel management strategy. We all know that Sales Channel Management is not just about talking and getting connected to a set of similar companies and coercing them to start positioning and eventually selling ‘A’ solution.